If you’ve read our weekly posts about Japanese sales, you already know that the majority of Nintendo Switch sales in Japan come from that very bundle, but it looks like it’s going to end pretty soon. Indeed, the official website was updated today, and it states that Nintendo has ended production for that bundle already. But what’s interesting is the wording used: Nintendo specifies that production has ended for this year, implying that it could very well resume sometime next year. It looks like Nintendo is going to focus on the Super Mario Odyssey bundle (announced during today’s Nintendo Direct presentation) for this holiday period, which is a pretty sensible choice. After all, Nintendo is already struggling to cope with demand, and it’s highly unlikely the holiday period is going to improve things (quite the opposite: demand is only going to get more massive). While there’s absolutely no doubt the Splatoon 2 bundle would keep selling like bowls of hot noodles throughout the rest of the year, Nintendo has clearly made the choice to prioritise Super Mario Odyssey. Since its production capabilities are limited (due to component shortages), the company cannot really manufacture enough units of both bundles at the same time. Its choice was simple: Super Mario Odyssey is to get the priority treatment. The wording on the official website implies the bundle will return next year, but nothing is confirmed. It’s possible Nintendo will go with a different bundle, like they did for Splatoon on Wii U (which had 2 bundles). Naturally, today’s announcement is only for the Japanese market. 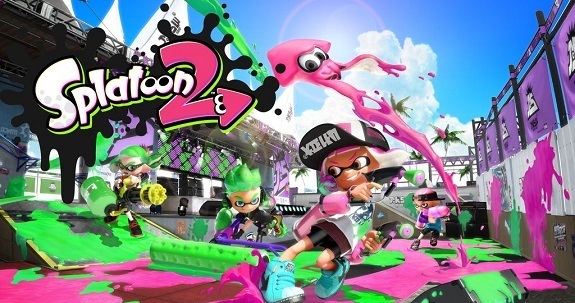 We don’t know if Nintendo of Europe is going to keep selling the Splatoon 2 bundle, and North America got it… today.